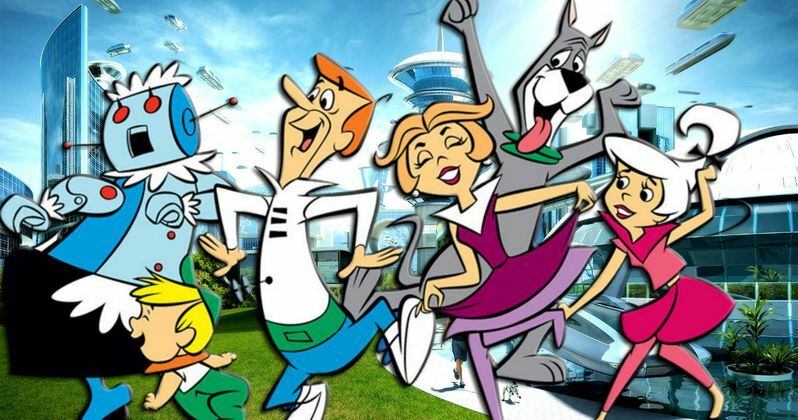 Less than two months after Warner Bros. Television started developing a Jetsons live-action TV series, ABC has issued a put pilot order, which practically guarantees the show will eventually get a series order. A put pilot order means that the network will have to pay the show's producers, Warner Bros. Television, Compari Entertainment and Nickelby Inc., a substantial penalty if the pilot isn't aired on the network, which generally means the odds of a put pilot being green lit to series are much greater than a traditional pilot order. As we reported in late June, Family Guy and Will & Grace writer Gary Janetti has been brought on to write and executive produce. Variety broke the news of the put pilot order today, revealing that this live-action series will be based on the original animated series. This multi-camera sitcom will be set 100 years into the future, following the exploits of the futuristic family lead by George Jetson and his wife Jane Jetson, along with children Judy Jetson and Elroy Jetson, their dog Astro and robot maid Rosie. It isn't clear when casting for the pilot episode may begin, or when ABC may be eyeing to air the series, if it does get a series order. The original Hanna-Barbera animated series was comprised of just 24 episodes, which aired between 1962 and 1963, as a futuristic companion to Hanna-Barbera' smash hit series The Flintstones. The series was revived by Hanna-Barbera in 1985 with 41 new episodes produced and aired in syndication. The newfound popularity of the hit series lead to the 1987 TV movie The Jetsons Meet the Flintstones and the 1990 theatrical feature Jetsons: The Movie. The brand was once again revived earlier this year with the straight-to-video animated feature The Jetsons & WWE: Robo-Wrestlemania, which was a joint venture between Warner Bros. Animation and WWE Studios. The Jetsons & WWE: Robo-Wrestlemania voice cast included Jeff Bergman as both George Jetson and Mr. Spacely, Grey DeLisle as Jane Jetson, Trevor Devall as Elroy Jetson, Danica McKellar as Judy Jetson, Tress MacNeille as Rosie the Robot and Frank Welker as the dog Astro. It would be interesting if the studio considered bringing back some of these actors in a live-action capacity, since some of the voice cast members have experience in both voice over and live action projects. Still, it remains to be seen how ABC will approach the casting of these iconic characters for this live-action series. Gary Janetti will also executive produce alongside Robert Zemeckis, who will executive produce along with Jack Rapke via their Compari Entertainment company, with Jackie Levine serving as co-executive producer. Warner Bros. Television will produce with Compari and Nickelby Inc. Gary Janetti has served as a writer and producer on Family Guy since the show first went on the air in 1999. He has also created and served as an executive producer on Vicious, while also writing and producing for Will & Grace during their initial run. Hopefully we'll have more on The Jetsons very soon now that a put pilot order has been given.